I'm giving away a sterling silver heart pendant necklace ($80 value) in celebration of the release of By Way of Accident THIS month! I imagined this is the necklace Brooke gave to River. I think it's pretty cool! :) I'm actually wearing a similar one in the video where I talk about the novel's setting! And with the necklace, you could also win a signed copy of River and Brooke's story and a special edition By Way of Accident bookmark! Hurry though and enter below! The giveaway ends on release day, Oct. 21! And Don't Forget to Pre-Order your copy Today! Now, you can pre-order By Way of Accident on Barnes and Noble! For more information about the book signing and to buy tickets, visit Holidays with the Belles! Hope to see you in Dallas Saturday, Dec. 6! Snag a copy before it's released! ﻿﻿﻿﻿﻿Enter to win a signed copy of River Asher's story before it's released! 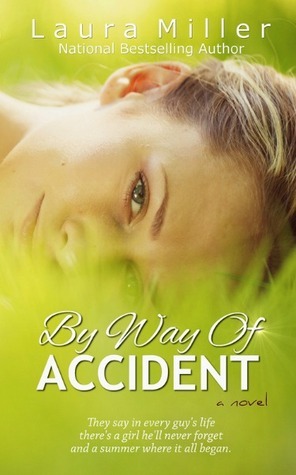 I'll be giving away a signed paperback copy of By Way of Accident, along with a special edition By Way of Accident bookmark to two winners in this international Goodreads giveaway! HAPPY LABOR DAY! BOTTLE UP SOME SUMMER!